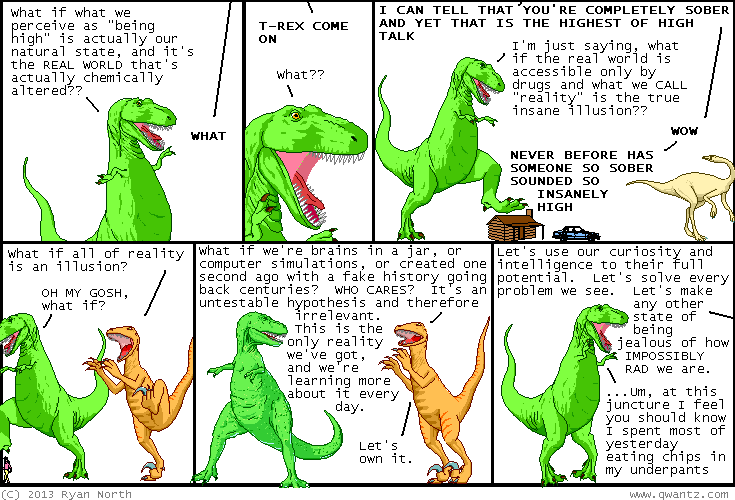 Dinosaur Comics - November 14th, 2013 - awesome fun times! November 14th, 2013: There are two new shirts out today! The first is a classy polo that a classy person can wear! the second is a classy shirt that a classy person can wear too! Oh my gosh are all my readers classy? IT SEEMS LIKELY. All this (AND MORE??) can be found at THE COOL FUN PIZZA ZONE which is what I just named my internet shoppe. One year ago today: Angola, perhaps there's been some confusion. I'm afraid my name's "Lady I. Amasexhaver", not "Lady I. Amapremaritalsexhaver"